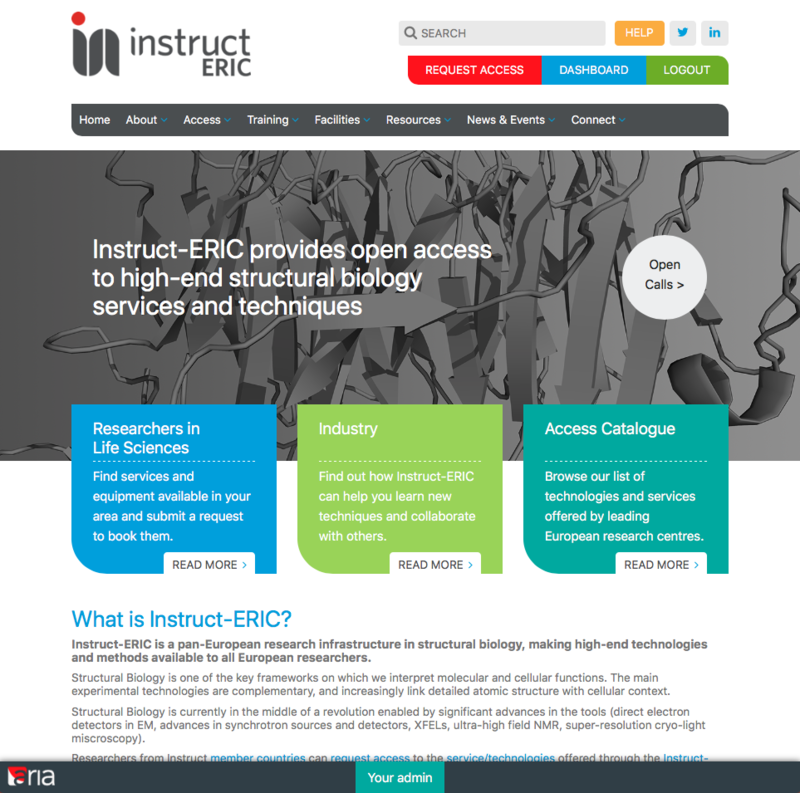 We are pleased to announce the launch of our new website instruct-eric.eu which replaces our old website, structuralbiology.eu. The re-designed site offers a better online experience, and a more user-friendly interface, with streamlined content, new resources and a fresh new look. It has an clearer navigation system and responsive functionality so the display adapts to your device, whether it's a desktop PC, tablet or mobile phone. If you have an account, your login details will remain the same, and any of your applications for access will continue unaffected and can still be displayed in the dashboard within the new website. The new website also showcases our updated technology catalogue. It is simple to find what you are looking for, whether you wish to submit an access proposal, look for jobs and opportunities or find out about our training courses. We would like to encourage our users to move to the new website and we welcome any feedback. We hope you'll enjoy using instruct-eric.eu to find relevant information, keep up to date with the structural biology community and apply for access. However, if you have a query, then you might find your answer in our ARIA help guides, or you can get in touch with us by using the forums, or via our contact form. Enjoy the new website and thanks in advance for any feedback.